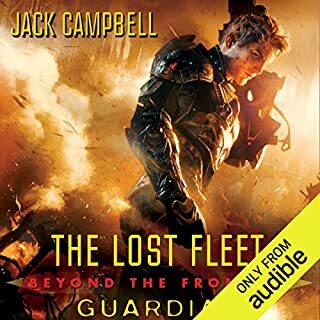 The first book of best-selling sci-fi author Jack Campbell’s new series "Beyond the Frontier" returns to find Captain John “Black Jack" Geary, the hero of the "Lost Fleet" series, awoken from cryogenic sleep to take command of the fleet. Geary’s legendary exploits have earned him the adoration of the people—and the enmity of politicians convinced that a living hero can be a very inconvenient thing. 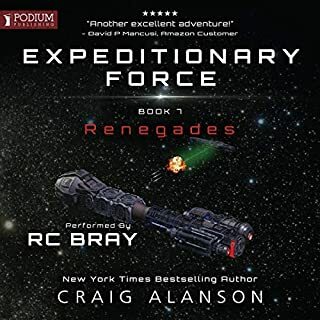 The century-long war between the Alliance and the Syndicate Worlds may be over, but Geary and his newly christened First Fleet have been ordered back into action to investigate the aliens occupying the far side of Syndic space and to determine how much of a threat they represent to the Alliance. And while the Syndic Worlds are no longer united, individually they may be more dangerous than ever before. 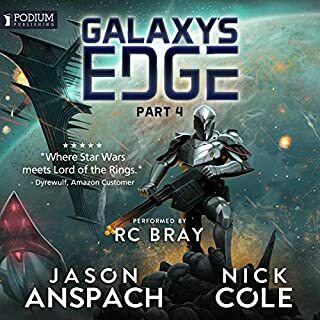 Geary knows that members of the military high command and the government question his loyalty to the Alliance and fear his staging a coup, so he can’t help but wonder if the newly christened First Fleet is being sent to the far side of space on a suicide mission. 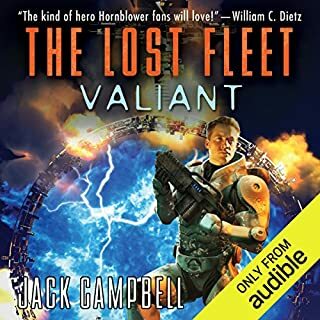 William C. Dietz, the author of the "Legion of the Damned" series, calls Dreadnaught "a rousing adventure", and Elizabeth Moon, the Nebula Award-winning author of the "Vatta's War" series, says it’s “loaded with edge-of-your-seat combat". 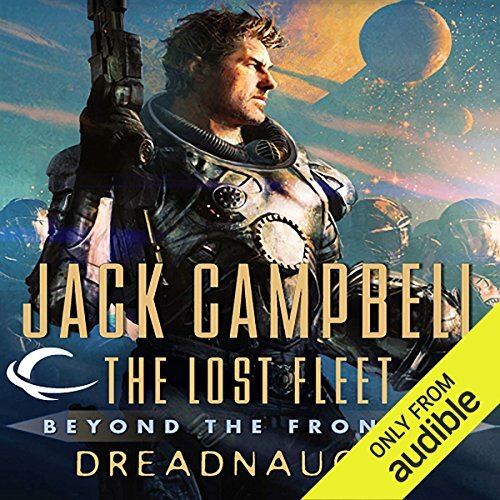 Read by Christian Rummel, who has narrated The Lost Fleet series to excellent reviews, Dreadnaught promises to be an out-of-this-world experience. 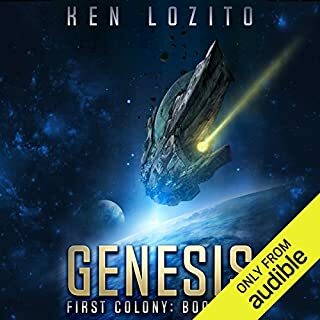 ©2011 John G. Hemry (P)2011 Audible, Inc.
A decent military SciFi novel that falls short due to bland characters and an author who didn't know what level of SciFi he wanted to write (I. E. Projectiles take time to get from point A to Point B due to the limitations on speed and the vast distances of space, however inertial dampers and artificial gravity exist, but, ships need to perform various breaking maneuvers to slow down before reaching a target). The Byzantine politics are quite well written and save the story from being bad. This is one of the best books I have listened to. Normally I just listen to fiction or semi-fiction books, but i bought this on a whim. After listening I was hooked and listened in 1 sitting. 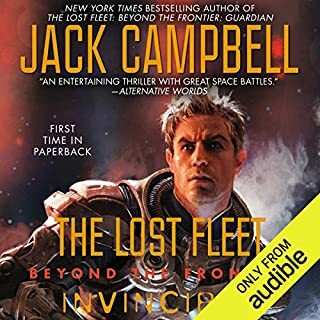 I then went and bought all the beyond the frontier series books and wish i would have started with the first lost fleet books. 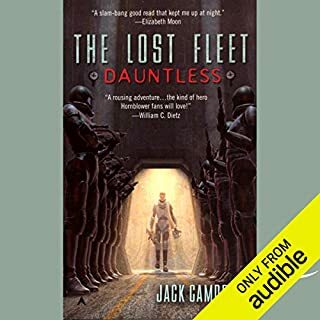 The narrator is one of the best which makes me unable to listen to many audio books. 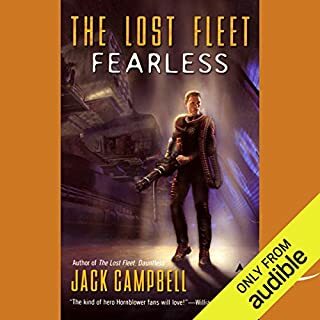 This is a great adventure and great first book in a new "Blackjack" series. Readers new to this author and character can start right here, you need not read the previous series. 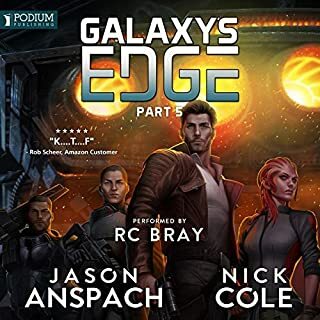 Some reviewers have criticized the first half of the book as being long on setup and low on action, I enjoyed it, the politics and personalities of the Alliance, Syndicate, and the Fleet only add interest and suspense to the story. The narration is great, my only criticism is to bring in some regional North American accents as well as British/Irish/Aussie ones. The battles in the second half are great as is the puzzle of the aliens. There is also a good wry sense of humor throughout. The cliffhanger ending left me wanting more. Overall 4 out of 5 stars. I'd recommend the entire series; it would be hard to engage with this book unless you'd read the previous ones. High entertainment value, with interesting characters and politics to keep you brain busy between the gripping battle scenes. The imagination and mystery surrounding the alien races. What didn’t you like about Christian Rummel and Jack Campbell (Introduction) ’s performance? Probably not (I'm not a big movie-goer). 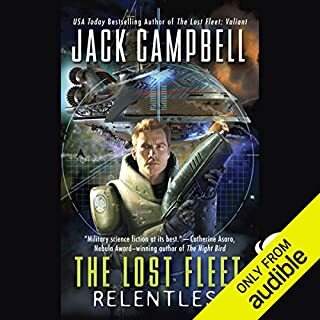 This is book one of a new series BUT you really need to read the Lost Fleet series to take full advantage of this new series story line. 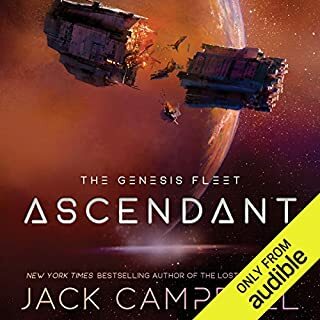 Black Jack Geary to given command of First Fleet and is to proceed to alien space to explore. Even before he got to the fleet, stupid orders were given by headquarters that almost cause to military of the Alliance to revolt. I was thinking this is not being realistic but then I thought of the history books I have read and thought oh no this is like some of the crazy things that do happen. The book has some great battle scenes, lots of suspense and backstabbing politics by governments. Overall a good story that lives you wanting more. Christian Rummel does a great job narrating the story. 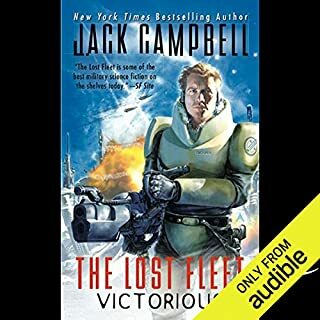 He also narrated the Lost Fleet series so the voices carry over and keep the continuity going. Enjoy. Luckily I came to this series later in life (about two months ago in August of 2011), and had a whole whack of books to keep my curiosity sated throughout. But after madly reading through the first 5 (?) books, I am now like many others waiting for the next volume in the series. 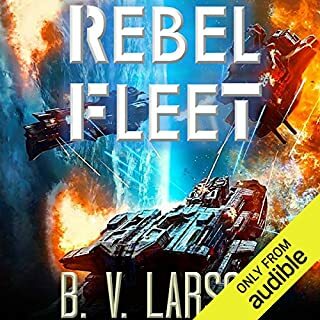 I enjoy the military scifi genre. They are generally easy reads following a single storyline that always keeps my attention. I consider this series really one book that is cut up into several volumes, and that is okay. It keeps me coming back for more. Finally a book that doesn't make technology the devil. 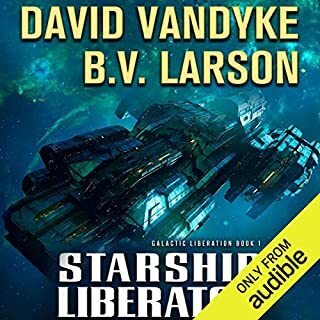 A good, easy to listen to book. This book is almost like a new series in the same series. I have really enjoyed the storyline and look forward to see what happens next. 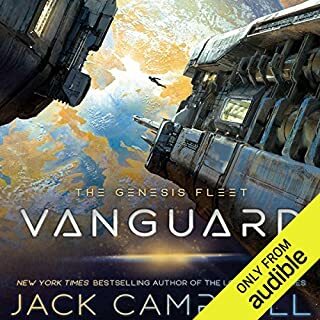 I like the entire series and have enjoyed listening to past audio books in the series prior to listening to the new books in the series just to keep all of the story fresh in my mind. I find the decisions that the characters face to be interesting and they handle them in ways that aren't one dimensional and flat. For instance they don't always opt for non-violence if that's the best way to handle the situation, or vice versa. 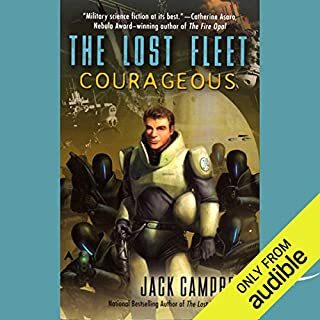 What does Christian Rummel and Jack Campbell (Introduction) bring to the story that you wouldn’t experience if you just read the book? 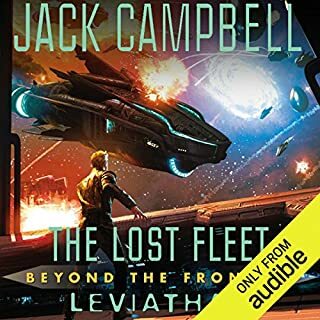 The voice acting is top notch and Jack Campbell brings an interesting point of view to space exploration. 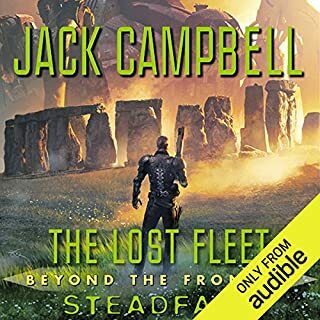 Great series, well written and narrated.